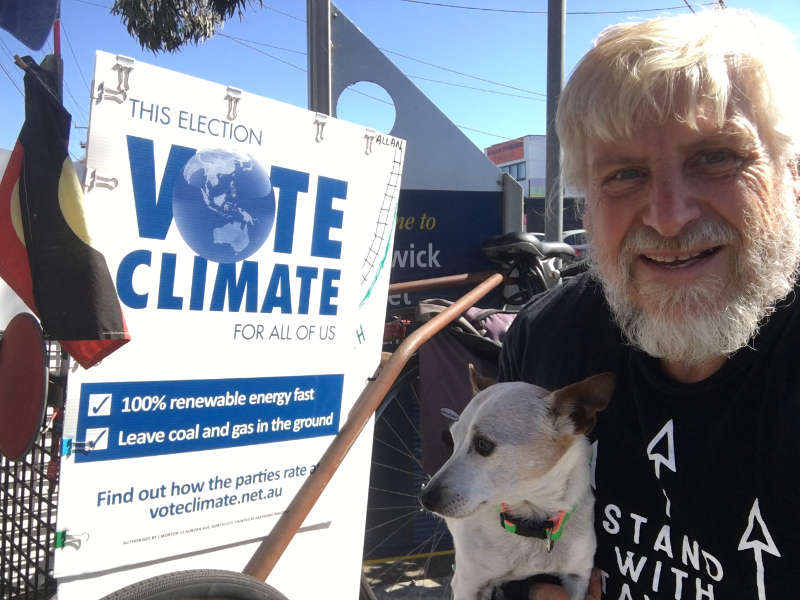 Climate Action Moreland has approached candidates in the three electorates covering Moreland to sign the Climate Emergency declaration. 6 of 9 candidates in Brunswick signed including both the Greens and ALP candidates. 6 of 8 candidates in Pascoe Vale signed, including sitting Labor MP Lizzie Blandthorn, high profile Independents Oscar Yildiz and John Kavanagh, and the Greens candidate. Significantly, Labor’s Energy Minister Lily D’Ambrosio has signed the climate emergency declaration, a welcome first step at ministerial level for climate action. 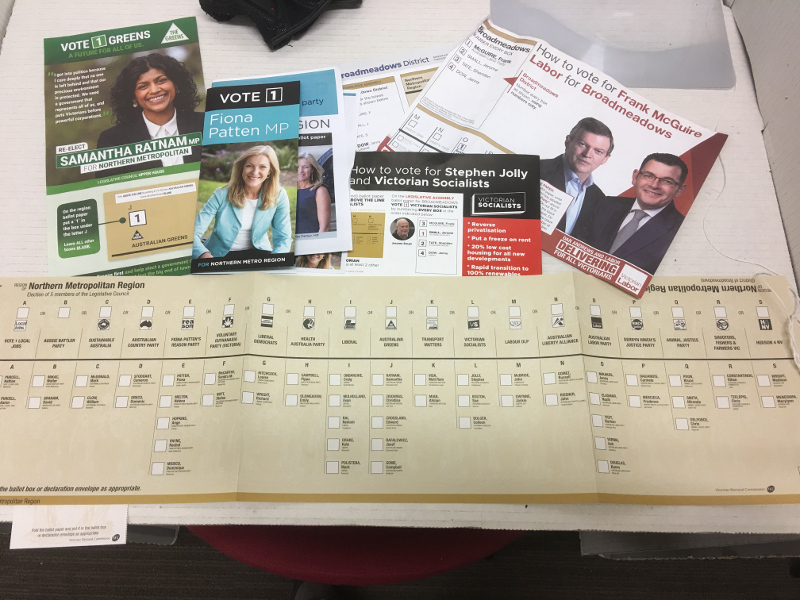 In the electorate of Broadmeadows, where Fawkner residents reside, the Socialist candidate Jerome Small and the Greens Candidate Sheridan Tate both signed. 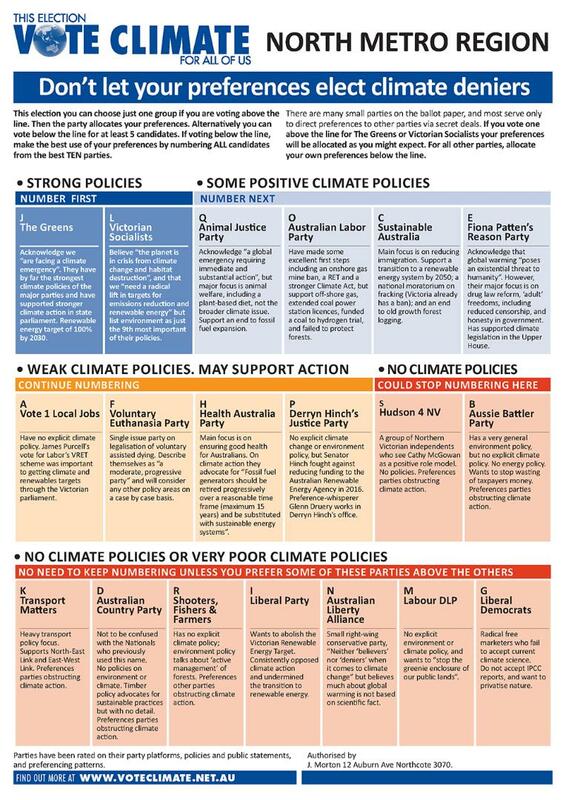 Melbourne Metro North Vote Climate Scorecard. 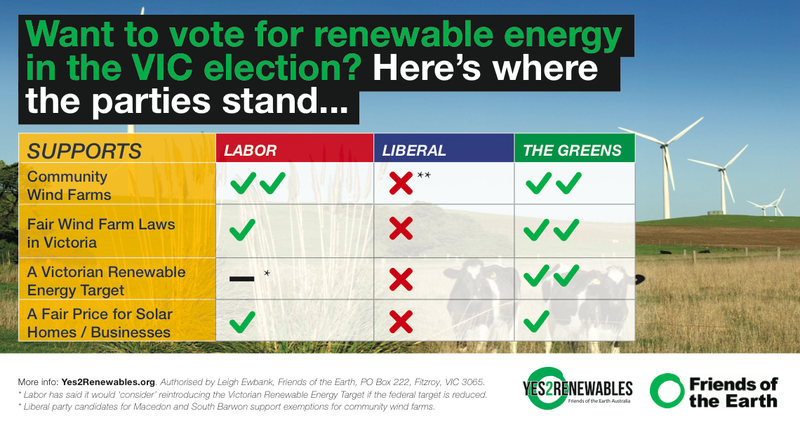 The Yes 2 Renewables campaign has rated the three major parties on renewables and clean energy policies. Why are forests an election issue? Because the Andrews Labor Government promised in 2014 they would sit down with all parties and work out a consensus outcome on the logging of old growth native forests in Victoria. There has been no positive outcome in four years. Vic Forests have been taken to court for illegal logging. A recent ABC news report advises Australia’s endangered forests are being ‘stolen’ and sold in hardware and office stores. 😮 75% of our Strathbogie Forests have already been cleared! 😢 Again this summer VicForests plan to cut down more! Forests are important as carbon sinks, for the ecosystems and habitats that they provide especially to endangered species such as Victoria’s faunal emblem, Leadbeater’s possum, and in ensuring quality water to the population of Melbourne. Victorian forests are also important in the sovereignty, land use and spiritual connection of our first nation peoples. Victoria is moving ahead with treaty negotiations with our indigenous nations and the fate of our native forests are an essential part of addressing this. Sovereign indigenous clans in Victoria consisting of the Taungurong, Wurundjeri and Gunai Kurnai peoples met on 14 and 15 September 2018 to discuss land and forests and formulated a statement on forests that calls for an immediate moratorium on logging and destruction of Victorian forests. This statement was read out at a forum on the future of Victoria’s Forests held by Brunswick Friends of Forests at Brunswick Town Hall on 21st November 2018. 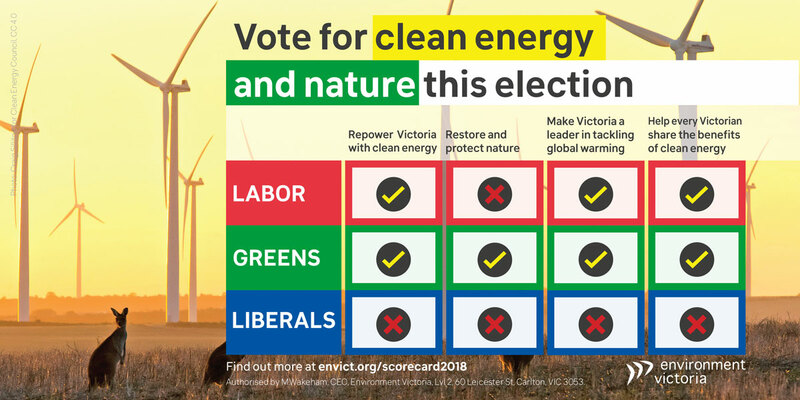 Read more on an election scorecard on indigenous sovereignty and issues that affect indigenous Victorians prepared by ANTAR Victoria. 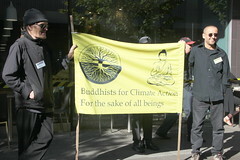 If indigenous sovereignty isn’t enough, the scientific research of Professor David Lindenmayer from a western scientific point of view is unequivical that continued logging does not make environmental, social or economic sense, and cannot be justified using conventional economic modelling, let alone triple bottom line accounting. His most recent research just published shows that continued logging in the Thomson dam catchment, which supplies 60 percent of Melbourne clean drinking water, would result in the reduction of water for 600,000 people by 2030. This at a time when climate change is affecting rainfall southern Australian patterns moving them further south with a long term projected decline in rainfall. Based on an estimated consumption of 161 litres of water per person per day, the loss in water yield resulting from logging would equate to the lost water for nearly 600,000 people by 2050. Given the strategic importance of water from the Thomson Catchment, our analyses suggest that native forest logging should be excluded from this catchment, particularly in the context of increasing human consumption of water and decreasing stream inflows from the catchments. 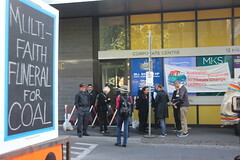 Previous work has shown that the economic value of the water across all of Melbourne’s Water Catchments, including the Thomson Catchment, is 25.5 times greater than the economic value of the timber produced from the all native forests, based on integrated economic and environmental accounting (e.g. under the System of Environmental and Economic Accounting [SEEA] developed by the United Nations). It is not the difference in value between water and timber that is important, it is the change due to the use of an ecosystem service, resulting in the reduction of water yield. Therefore, we suggest that ongoing logging of the Thomson Catchment, when it is known to reduce water yields, is a questionable natural resource management policy. Continued Victorian Government support of VicForest logging is also at variance with public opinion. In Victoria 64 per cent found logging for wood production unacceptable, and another 11 per cent were undecided. 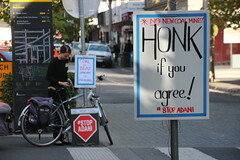 Notably, the regional opinion was only slightly smaller than the urban opposition to logging, according to The Sydney Morning Herald Article. 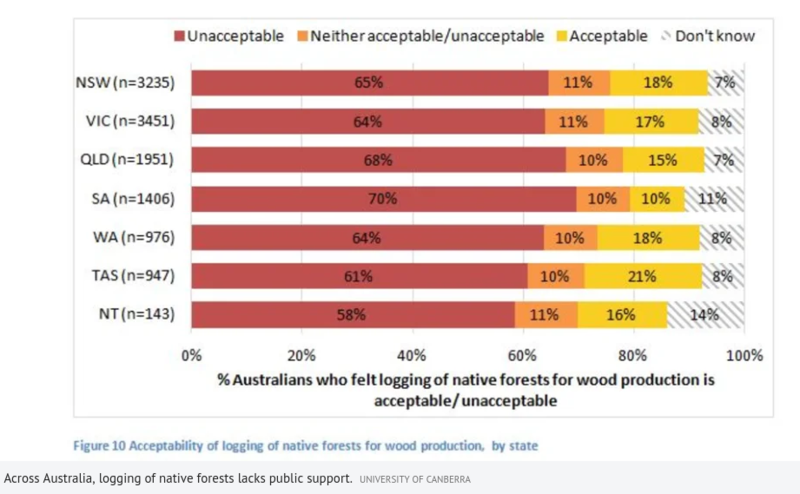 The study found harvesting native forests was viewed as unacceptable by 65 per cent of regional and rural residents – including in areas with timber industries – not far shy of the 70 per cent disapproval by urban respondents. For instance, 62 per cent of residents in Victoria’s Central Highlands and Gippsland regions viewed logging of native forests for wood production as unacceptable and just one in five supported it. The Public Transport Users Association based on examining transport policies, recommends a vote for 1. The Greens, 2 Labor, and 3. The Liberals. 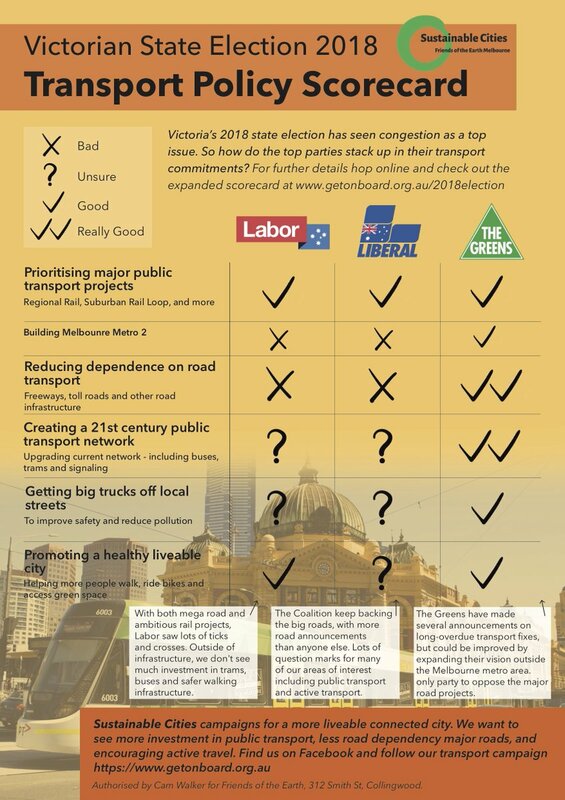 Moreland Bicycle User Group (Moreland BUG) surveyed the candidates on cycling issues for Brunswick, Pascoe Vale and Broadmeadows electorates, and the Northern Metro Region. 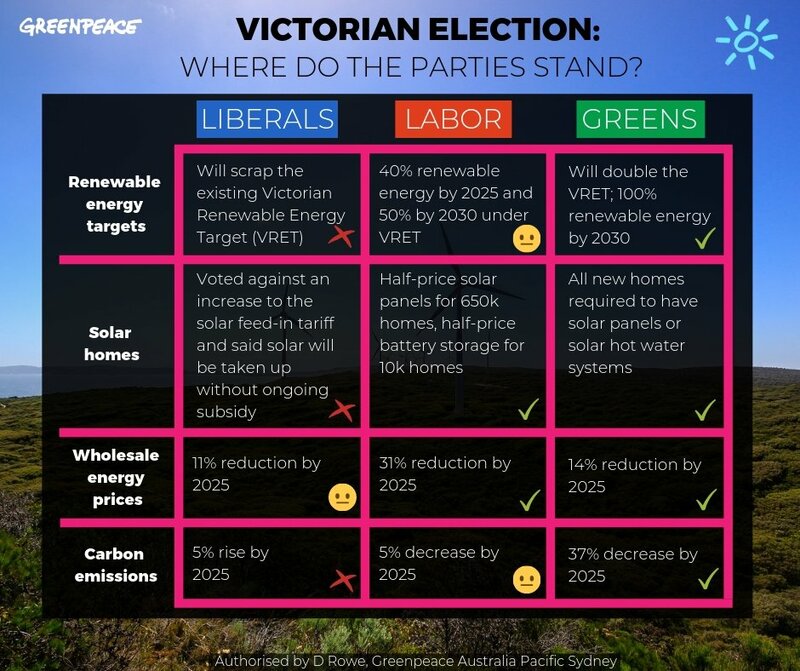 See also Bicycle Network Victorian State Election 2018 Election tracker for policy and promises. One promise not listed was an additional $250,000 by Labor to upgrade the lighting on the Upfield Bike Path in Brunswick. Climate Action Moreland convenor John Englart responded that the money would be better spent extending the bike path to Upfield to get more people and suburbs access to arterial cycling facilities. 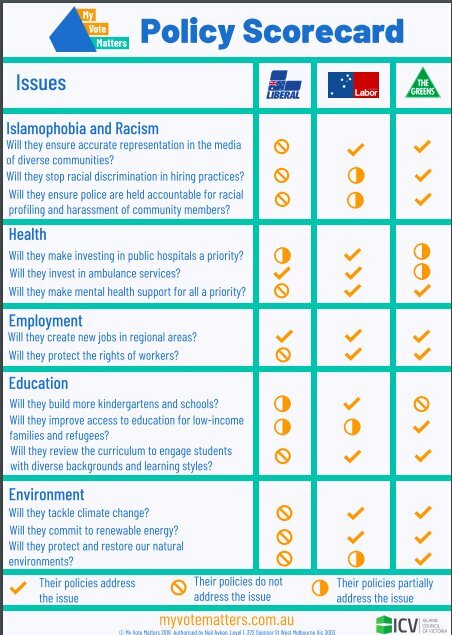 The My Vote Matters scorecard by the Islamic Council of Victoria’s is a first. 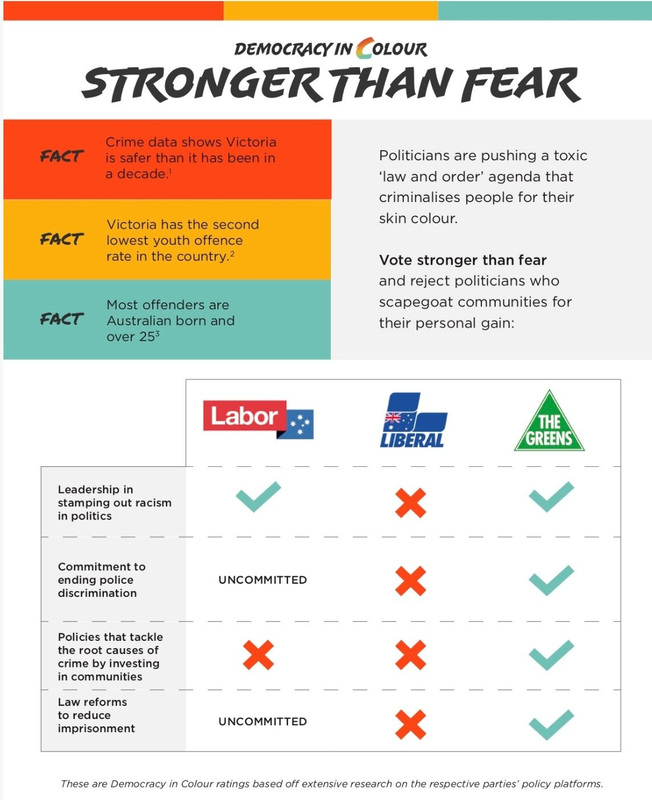 It rates the 3 major parties across a number of policy areas, including Islamaphobia and racism, health, employment, education and environment. 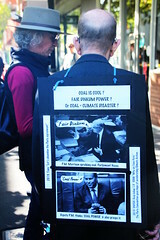 This entry was posted in climate, news and tagged climate, election, scorecard, vicvotes, vicvotes2018, VoteClimate, voteforests. Bookmark the permalink.